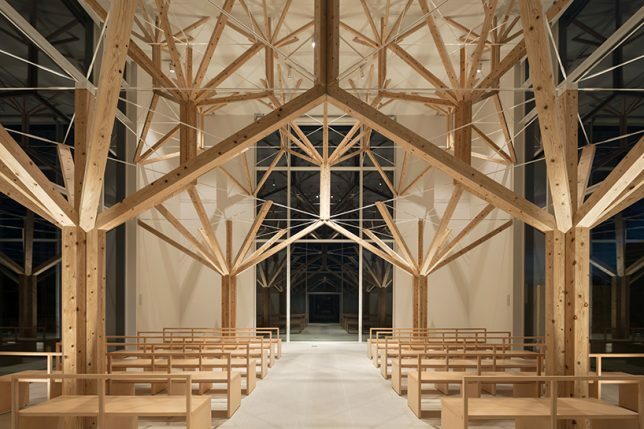 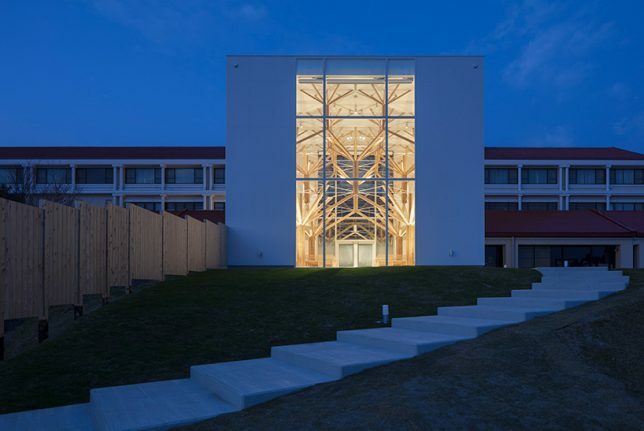 A series of stacked tree-like supports seem to abstract the nature in this Japanese chapel, bringing a small geometric forest inside this otherwise minimalist space to serve a contemporary congregation. 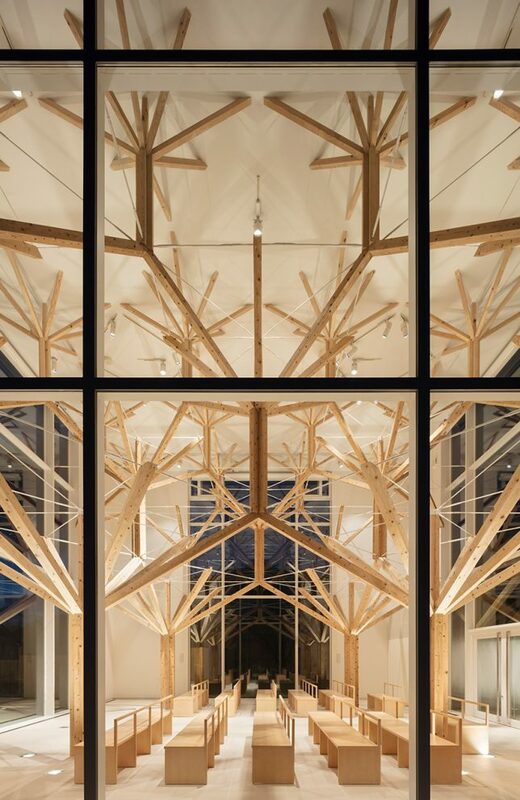 Designed by architects of Momoeda Yo, the square pillars were made using traditional Japanese woodworking methods. 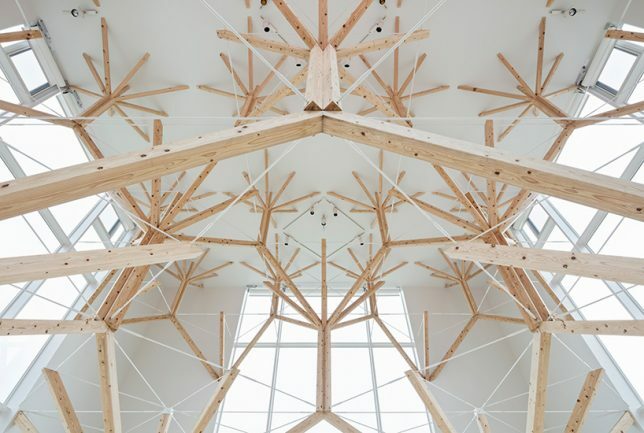 They stack on top of each other, forming different forest layers and growing smaller as they go up — a fractal-style repeating pattern. 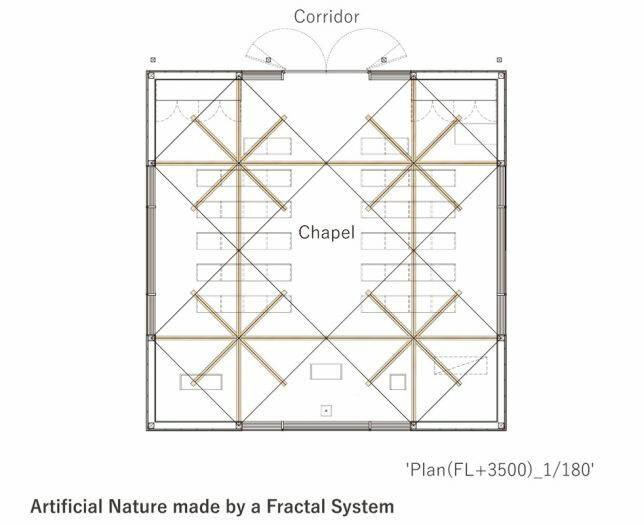 The construction strategy not only supports a ceiling high above, but it also opens up more space for occupation down below. 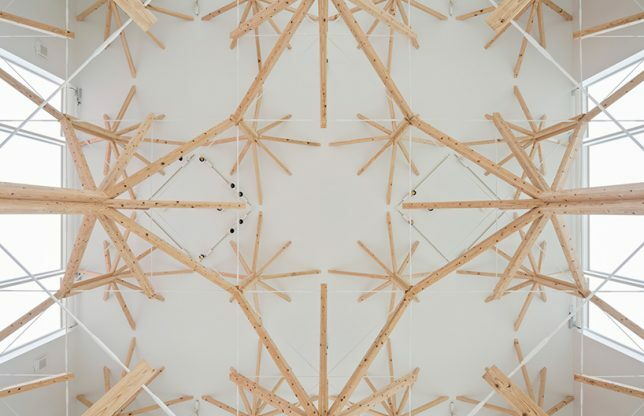 A series of thin, white-painted metal rods are used for structural stabilization (tension) while the wooden members work to hold things up (compression). 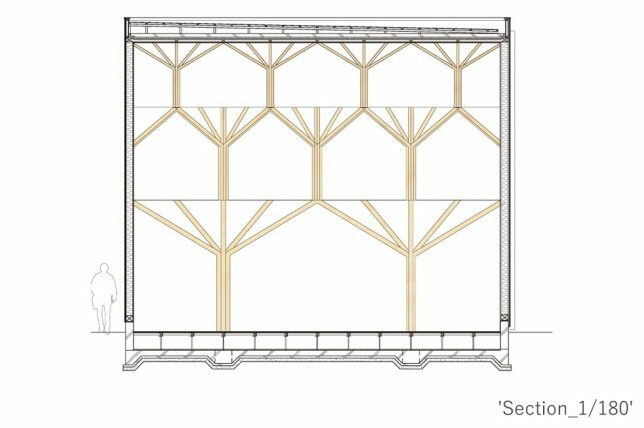 The side loads are carried by walls while the columns support roof loads of up to 25 tons. 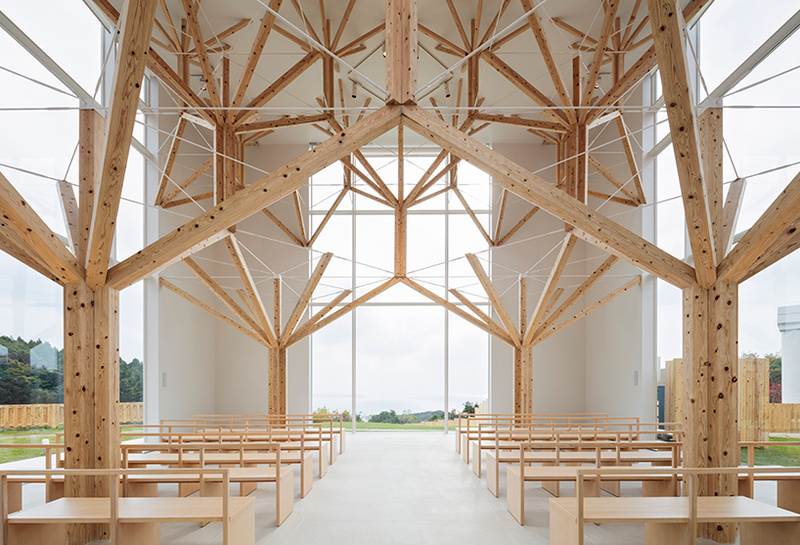 The whole architectural creation reads a bit like a structural drawing exercise, in which loads trace are downward and become larger as they join up and head toward the floor, much like the columns do in this case.